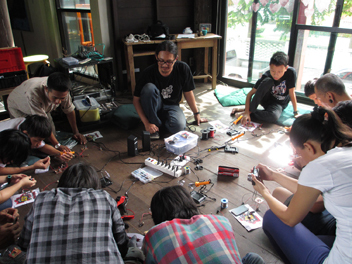 / PREI NANG THAI (Holiday in Thailand) is a series of presentation, workshop, and sound project from Debrina Tedja and Helmi Hardian (H/A/D). 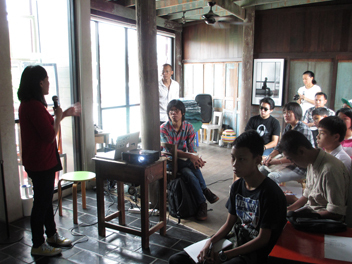 This program presented by WAFT LAB - Indonesia in conjunction with JIANDYIN - Thailand, Tao Hong Tai : DKunst and Chulalongkorn University -Thailand. 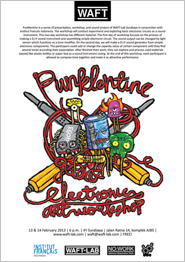 / PUNKLENTINE is a series of presentation, workshop, and sound project of WAFT Lab Surabaya in conjunction with Institut Francais Indonesia. 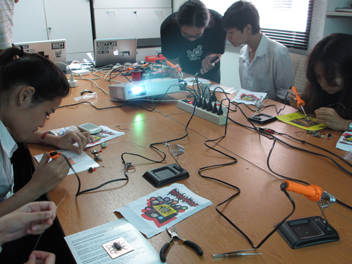 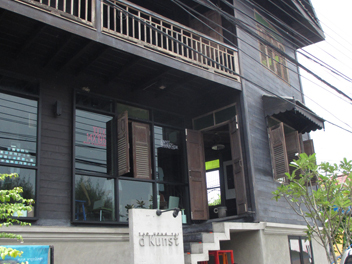 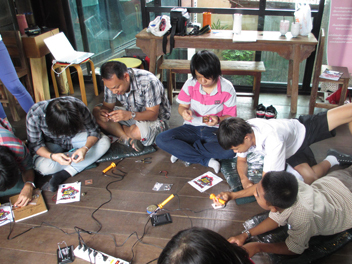 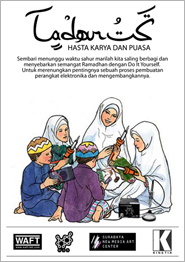 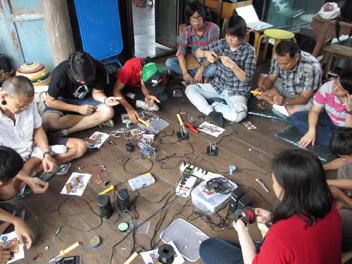 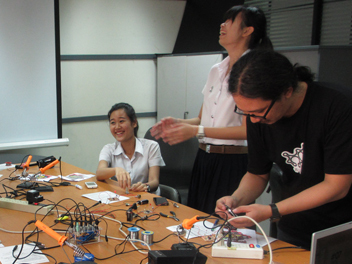 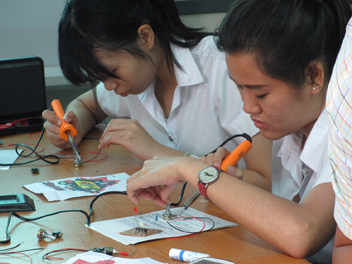 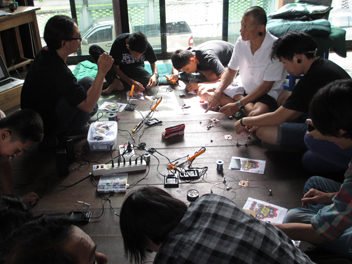 The workshop will conduct experiment and exploring basic electronic circuits as a sound instrument. 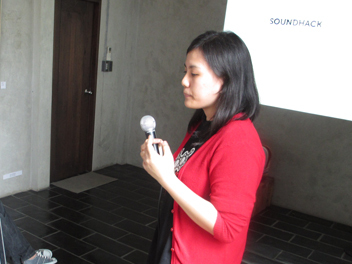 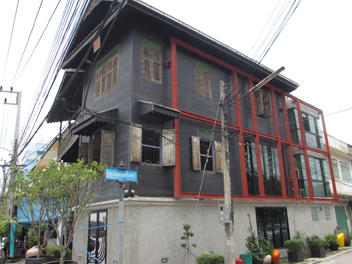 This two-day workshop has different material.